ART can permanently correct a number of conditions: neck pain, back pain, shoulder pain, shin splints, carpal tunnel syndrome, sciatica, tennis elbow, knee problems, plantar fasciitis, and more. These conditions share one characteristic: They often result from injuries caused by overused muscles. This can lead to pain, loss of muscle strength, and restricted range of motion. Trapped nerves may also cause numbness, tingling, shooting pains, muscle atrophy, weakness, burning sensation, and circulatory problems. Every ART session combines physical examination with treatment procedures. The ART provider uses his or her own hands to assess the movement, tension, function, and texture of the patient’s muscles, tendons, fascia, nerves, and ligaments. The provider treats the abnormal tissues with a combination of specific movements and carefully directed tension. Active Release therapy is not a cookie-cutter approach. There are 500 treatment protocols, all of them unique to ART. These allow ART providers to identify and treat the specific problems of each patient. During the procedure, each afflicted area takes about 8 to 15 minutes to treat. In some cases, up to ten visits may be required before full functionality is restored to a particular area. When possible, patients should perform active movements during the treatment. This helps to stimulate neurological pathways found in the spinal cord, which in turn helps lessen pain during the process. In addition, this motion helps reproduce the stresses of normal active motions. Ensuring you get the right touch! Within the first few visits, the patient can expect to see improvements in speed, strength, and endurance. Often, we ask patients to test themselves to see if these improvements are noticeable. If there is no such improvement, then we will conclude that we have not yet found the source of the patient’s problem, or that more work must be done on the afflicted area. After the patient’s soft tissue problem has been successfully resolved, the symptoms should not return, barring another injury. To avoid a future injury, we teach our patients about specific exercises and correct posture. We also inform them about the mechanisms of injury, which helps them avoid future problems. Active Release Technique is a very safe, non-invasive procedure that comes with almost no side effects. How does an ART treatment feel? Traditional Chinese Medicine is a comprehensive system of health care with a tradition that dates back more than three thousand years. Used to prevent disease and improve well-being, as well as diagnose and treat various illnesses, Chinese Medicine encompasses not only acupuncture, but also massage, diet therapy, herbal therapy, exercise, and Qigong meditation. These therapies work in conjunction with the vital energies intrinsic to all living things to enhance the body’s natural healing abilities. Chinese Medicine makes use of minimally invasive treatments to encourage natural health and wellness. Western Medicine attributes the effectiveness of acupuncture to several mechanisms. These mechanisms include metabolic, nervous, biochemical, and endocrine pathways. Acupuncture derives from ancient eastern theories relating to the flow of Qi energy through distinct meridians or pathways that run through the body similar to the blood in blood vessels. Acupuncture normalizes Qi energy in order to restore balance. Traditional Chinese Medicine is based on an energetic model rather than the Western biomedical model of approaching bodily health issues. In the Chinese model, disease is generally interpreted as a disorder of disharmony, and therefore medical treatments focus on balancing and harmonizing the body. Traditional Chinese Medicine and acupuncture complement the body’s inherent healing capabilities and augment the health of the whole person. Absolutely. 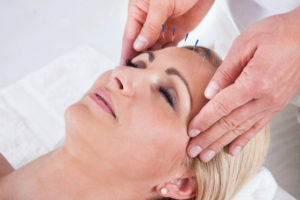 In addition to being an inherently low-risk medical option, acupuncture is applied by physicians who must adhere to stringent safety procedures enforced by state and federal agencies. According to Florida law, only pre-sterilized disposable single-use needles can be used. Chinese and Japanese Acupuncture: Insertion of thin sterilized single use needles into the skin to affect specific acupuncture points. Chinese Herbal Medicine: Custom herbal prescriptions or ready-made prescriptions. Cupping: A technique where glass cups are applied to the skin with a vacuum created by heat. Massage (Tuina) & Moxa (Heat Therapy). The World Health Organization (WHO) recognizes the efficacy of acupuncture and Oriental Medicine in treating many disorders. In the hands of a properly trained practitioner, acupuncture has applications that extend far beyond pain relief. The World Health Organization (WHO) recognizes the effectiveness of acupuncture in the treatment of many common illnesses. The World Health Organization Interregional Seminar compiled a list of illnesses that may benefit from acupuncture treatment; this can be found in the space below. This is only a partial list and is based on clinical experience, not necessarily controlled clinical research. The inclusion of specific diseases should not be taken to indicate the extent of acupuncture’s efficacy in treatment, since different conditions may vary in severity and response. Acute bronchitis, bronchial asthma (most effective in children and uncomplicated conditions). Acute sinusitis, acute rhinitis, flu, common cold, acute tonsillitis. Toothaches, gingivitis, post-extraction pain, acute, and chronic pharyngitis. Acute conjunctivitis, cataracts (without complications), central retinitis myopia (in children). Hiccough, spasms of esophagus, acute and chronic gastritis, gastroptosis, gastric hyperacidity, acute duodenal ulcer (without complications), chronic duodenal ulcer (pain relief), acute bacillary dysentery, acute and chronic colitis, diarrhea, constipation, paralytic ileus. Premenstrual syndrome, spotting and excessive bleeding, dysmenorrhea (menstrual cramps), amenorrhea (loss of menstrual period), infertility, impotence, prostatis, incontinence. Headache and migraine, peripheral neuropathies, trigeminal neuralgias, pareses following a stroke, facial palsy (early stage, i.e., within 3-6 months), sequelae of poliomyelitis (early stage, i.e., within 6 months), neurogenic bladder dysfunction, Meniere’s disease, nocturnal enuresis (bedwetting), cervicobrachial syndrome, intercostal neuralgia, tennis elbow, frozen shoulder, sciatica, osteoarthritis, lower back pain, back and knee pain, carpal tunnel syndrome, chronic fatigue syndrome, fibromyalgia, sports injuries & pains. Chiropractors believe that a very large number of physical ailments can be traced to spinal issues that respond favorably to chiropractic treatment. For example, lower back pain, including sciatica, is a common malady that can be relieved by a competent chiropractor. Neck pain also tends to respond well to chiropractic adjustment. Headaches, whiplash, plantar fasciitis, herniated discs, “tennis elbow,” pinched nerves, carpal tunnel syndrome—all of these conditions and more can be helped with chiropractic treatment. Many chiropractors address these conditions by treating misalignment in the spinal column called subluxations. When performed by an experienced practitioner, chiropractic is both safe and highly effective. Many people have found long-term relief from serious ailments as a direct result of going through chiropractic treatment from a trained professional. Our Sports Chiropractor practice is a musculoskeletal-based practice specializing in treating a wide range of musculoskeletal conditions like back or neck sprain, disc herniation, and tendonitis in the ankles, knees, hips, shoulders, elbows, and wrists. We also help in diagnosing and treating all sports injuries. 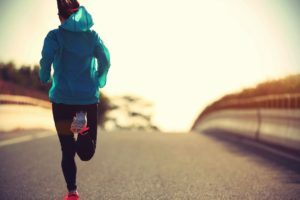 The methods that our sports injury chiropractors use to address these injuries include biomechanical evaluation, posture evaluation, and evaluation of the patient’s functional movement. The basic principle of our treatment plan includes active methods to restore proper functional movement. These methods consist of active release techniques, manipulation of fixated segments, neuromuscular re-education, proprioception and balance training, and many more functional exercises. Our mission is to pursue every relevant treatment option in order to help you return to peak physical condition. Deep tissue laser therapy accelerates your body’s own natural healing process through photo-bio-stimulation. Laser therapy is a non-invasive technique to help reduce pain and inflammation. It can be safely used as an adjunct or replacement for pharmaceutical drugs. This pain relief treatment is FDA cleared and enables patients to access a viable alternative to drugs and surgery. Laser therapy treatments last between 5 and 10 minutes depending on the condition being treated. These treatments must be administered directly to the skin, as laser light cannot penetrate through layers of clothing. You will feel a soothing warmth as the therapy is administered. Class 4 deep-tissue laser therapy can form an essential part of any treatment protocol. When you become injured, your cells sustain chemical damage. Deep-tissue laser therapy boosts the healing process by photo-biostimulating (regenerating) these damaged cells. This therapy excites the kinetic energy of cells by transmitting photons. The skin is able to absorb the photons via a photo-chemical effect, not a photo-thermal one; therefore, there is no heat damage sustained by the tissues. Once these photons reach the cells, they trigger a cascade of beneficial activities, such as stimulating mitochondria, igniting enzyme production, increasing vasodilation and lymphatic drainage, synthesizing ATP, and elevating collagen formation substances to prevent scar tissue formation. This helps treat long-term joint mobility issues and chronic myofascial pain syndromes. Increase blood flow to low blood tissue like tendons and ligaments to aid in bringing oxygen and nutrients to the tissue for repair. Allow energy to assist in repair of injured tissue. Speed recovery time from sports injuries. “Corrective Movement Patterns Technique,” as created by Dr. Yoav Nagar, blends several different philosophies and movement techniques. It is, in essence, a blend of different movement evaluation techniques with the purpose of looking at the quality of movement patterns in each individual, thus discovering their faulty movement patterns and weak link. After the evaluation is completed we move to the corrective aspect of the technique which blends several soft tissue techniques and corrective exercises. The soft tissue techniques are generally Myofascial release while applying body movement, while the corrective exercises, are mainly based on developmental movements. These developmental movements focus on the basic motoric reflexes of the brain with an emphasis on Centrated joint positioning, otherwise known as neutral joint positioning. The objective of the “Corrective Movement Patterns Technique” is to restore proper movement governed by the brain. It is in essence more of brain training technique than just an exercise. Dynamic Neuromuscular Stabilization (DNS) is an innovative chiropractic treatment that involves the intrinsic locomotion system of stabilization. The spine’s integrated stabilization system is composed of several components: the small inter-segmental spinal muscles, the diaphragm, the deep neck flexors, the pelvic floor, and the abdominal wall. Normally, these muscles activate automatically prior to bodily movement. By using DNS, chiropractors are able to activate the integrated stabilization system in order to improve function. Each movement begins by stabilizing body segments to enhance balance, security, and efficiency of the relevant components. Activating the stabilization system is an unconscious and automatic process. However, sometimes the stabilization process can become disrupted. This happens if even one muscle (or just part of one) fails to function properly. As a result, this purposeful movement becomes compromised. Then the body responds with a compensatory mechanism that provides a measure of body segmental stability. Typically, these compensatory processes involve superficial muscle groups that overload spinal discs and joints, in addition to causing muscle overuse as well as repetitive muscle straining. This in turn leads to further imbalance in the locomotion system and a decrease of spinal stability. Fortunately, DNS allows sports injury chiropractors to analyze the functional stability and locate the “key link” associated with the dysfunction. A diagnosis will be made after comparing the patient’s stabilizing patterns with the development of healthy stabilization patterns of a normal baby. By using special functional exercises that target the integrated stabilizing system, the patient will soon enjoy improved spinal stability. For this to happen, the brain has to be correctly stimulated and conditioned to automatically activate the stabilization patterns essential for initiating movement. The goal of the treatment is to reestablish proper movement patterns as defined by standard developmental kinesiology—that is, normal movements associated with a child’s first year. The final outcome of this type of chiropractic treatment is successfully teaching the patient’s brain to sustain central control and stability of movements restored by the therapy. The chiropractor achieves this by stimulating the stabilizers while placing the patient’s body in primal developmental positions. During the stimulation procedure, the spine extends, the joints become centrated, and the intra-abdominal pressure is increased. By repeating the exercises, automatic central control is eventually reestablished as an essential part of normal, everyday movement. Graston Technique® is an interdisciplinary treatment currently used by over 6,500 clinicians across the globe. Many chiropractors, athletic trainers, hand therapists, physical therapists, and occupational therapists have successfully used GT to treat their patients’ sports injuries and similar ailments. At present, GT is used at around 700 outpatient facilities and industrial on-sites, as well as over 120 amateur and professional sports organizations. It is also taught at 29 colleges and universities. Developed by athletes, Graston Technique® is rapidly changing the way patients and clinicians—including sports chiropractors, athletic trainers, occupational therapists, and physical therapists—manage the treatment of soft tissue injuries, whether acute or chronic. It’s a ground-breaking, patented form of instrument-assisted soft tissue mobilization that allows clinicians to break down scar tissue and fascial restrictions when standard functional rehabilitation or chiropractic treatment may be inadequate. The Technique makes use of specially designed stainless-steel instruments to treat areas where soft tissue fibrosis or chronic inflammation is present. The curvilinear edge and convex/concave shape of the patented Graston Technique® Instruments enable them to conform to the contours of the body. This design allows for ease of treatment, optimal tissue penetration, and minimal stress to the clinician’s hands. The Graston Technique® instruments function like a tuning fork, resonating in the clinician’s hands and allowing them to isolate adhesions and restrictions. This permits very precise treatment of the afflicted areas. As the metal surface of these instruments will not compress as the fat pads of the finger do, the clinician can access and treat restrictions at a deeper level than would otherwise be possible. In the same way that a stethoscope amplifies what the human ear can hear, these instruments magnify what the human hands can feel. The Kinesio Taping Method was developed nearly 25 years ago in Japan. It has since become the gold standard for therapeutic rehabilitative taping. This method of taping uses a uniquely designed and patented tape for treatment of muscular disorders and lymphedema reduction. Kinesio Taping involves taping over and around muscles in order to assist and give support or to prevent over-contraction. The first technique gives the practitioner the opportunity to actually give support while maintaining full range of motion, enabling the individual to participate in physical activity with functional assistance. The second technique helps prevent overuse or over-contraction and helps provide facilitation of lymph flow 24 hours per day. It is most commonly used in the acute stage of rehabilitation. Correctional techniques include mechanical, lymphatic, ligament / tendon, fascia, space, and functional. Kinesio Tex Tape can be used in conjunction with other therapies, including cryotherapy, hydrotherapy, massage therapy, and electrical stimulation. Kinesio Taping affects the activation of neurological and circulatory systems. Muscles are not only attributed to the movements of the body but also control the circulation of venous and lymph flows, body temperature, etc. Therefore, the failure of the muscles to function properly induces various kinds of symptoms. Consequently, so much attention was given to the importance of muscle function that the idea of treating the muscles in order to activate the body’s own healing process came about. Using an elastic tape, it was discovered that muscles and other tissues could be helped by outside assistance. Employment of Kinesio Taping creates a totally new approach to treating soft tissues. The method and tape allow the individual to receive the therapeutic benefits 24 hours per day because it can be worn for several days per application. Currently, Kinesio Taping is used in hospitals, clinics, universities, high schools, and by professional sports teams. Reflex locomotion is a highly specialized form of physical therapy that was developed at the beginning of the 1950’s by a Czech Pediatric neurologist Prof. Dr. Vaclav Vojta. Originally this technique was developed to enhance motor development of children affected by cerebral palsy. Reflex locomotion uses specific stimulation zones in a specific positioning of the patient to facilitate motor response called “Global pattern”. Muscles throughout the body are activated in a coordinated pattern and at the same time the central nerves system is addressed at all its regulatory levels. Reflex locomotion not only activates skeletal muscles but also smooth muscles like circulatory, bladder and bowel control. Besides motor control, the technique also improves cognition, breathing and digestion. Reflex locomotion is not learning or training process, it activates inborn physiological movements via stimulation of the CNS. The responses to the stimulation is a coordinated movement of the trunk and extremities and by that restore basic movement patterns, which are part of human movement processes such as grasping, rolling, creeping, crawling, walking, stabilization and proper breathing stereotype. The priority of the treatment is to activate the dysfunctional muscles which are not entirely under our control but may play a role of a key link in a certain dysfunction. The goal of the treatment is to improve motor and sensory function as well as improve/restore body perception, body image and differentiation. Reflex locomotion can be used as a first step in the treatment if the patient can’t correct the poor stereotype voluntarily, and/or if the patient can’t follow the therapist verbal instructions. The McKenzie Method of Mechanical Diagnosis and Therapy (MDT) is an internationally recognized approach to assessment and treatment of spinal and extremity pain. MDT has been heavily researched and has shown to be particularly useful in the treatment of discogenic pain and radiculopathy. MDT practitioners take a systematic approach to patient care through thorough assessment, classification of disorders, specific treatment protocols, and preventative strategies in order to produce immediate results. Patient education is a major component of the McKenzie Method. It is the goal of the therapist to teach patients how to treat themselves, in order to increase patient independence and self-efficacy while decreasing fear-avoidance, chronic pain, and disability. Dermal Traction Method (DTM) prioritizes the health of the neurology in painful movement patterns. Pain of nerve origin is called neuropathic pain but that term has historically been reserved for larger neurological structures such as nerve roots and peripheral nerves. In DTM, the identification of painful movement and its relationship to the superficial neurology is the focus of the assessment and treatment. Stecco Facial Manipulation is an advanced soft tissue technique that lies within the philosophy that fascia is the conductor of movement and that physiological factors such as dehydration, acidity, and stress can alter the structure and function of this connective tissue. In the Stecco philosophy, the medical concept of the separation of the internal organ from the locomotor system physiologically does not exist and the goal of the treatment is to examine the connection between these systems and bring the patient into physiological balance. A Calm Mind generates a special kind of energy. Which can be used to create transformation.